Flyer Cleaning Drill is used to clean physical impurities such as fly fiber, dust, etc., and chemical impurities such as cotton wax, spin finish in synthetic fibers etc. 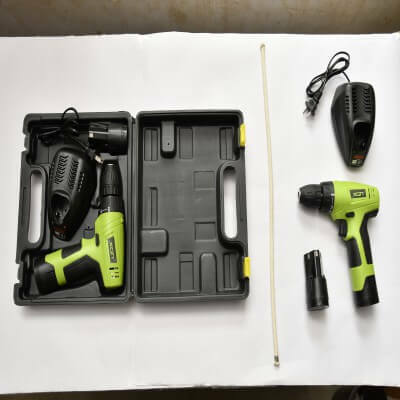 Cordless type with rechargeable battery, so highly portable. Comes with an additional battery, so easily replaceable. Can be used for cleaning the speed frame during power cuts since the device doesn't depend on external continuous power source. External dock type battery charger with short charging cycle. LED Light Facility available for better viewing.